ادی مک‌کلرق (اینگیلیسجه: Edie McClurg) آمریکالی موغنی، کومدین، و اوْیونچو ادی مک‌کلرق کانزاس‌سیتی‌ده‌کی میزوری بیلیم‌یوردو دا درس اوْخویوب. ۱۹۷۶–گۆنوموز ایللر آراسیندا سینما ساحه‌سینده چالیشیب. Season 7, Episode 2 - "A Home Run for Love"
Season 1, Episode 10 - "The Trip: Part 2"
Season 5, Episode 4 - "Sanctuary"
Season 6, Episode 14 - "Sharples vs. Sharples"
Season 1, Episode 14 - "Working"
Season 1, Episode 2 - "Carmine and Squealer"
Season 1, Episode 3 - "Karen Fools Around"
Season 1, Episode 4 - "Miss Pelican"
Season 1, Episode 5 - "The Bum's Rush"
Season 9, Episode 8 - "Death Smiles on a Dry Cleaner: Part 1"
Season 9, Episode 9 - "Death Smiles on a Dry Cleaner: Part 2"
Season 1, Episode 1 - "Put Up Your Dukes"
Season 1, Episode 2 - "Jungle Jitters"
Season 1, Episode 3 - "The Dukes of Venice"
Season 1, Episode 4 - "Morocco Bound"
Season 1, Episode 5 - "The Secret Satellite"
Season 1, Episode 6 - "The Dukes of London"
Season 1, Episode 7 - "The Greece Fleece"
Season 1, Episode 8 - "The Dukes in India"
Season 1, Episode 9 - "The Dukes in Urbekistan"
Season 1, Episode 10 - "A Hogg in Hong Kong"
Season 1, Episode 11 - "The Dukes in Scotland"
Season 1, Episode 12 - "The Dukes Do Paris"
Season 1, Episode 13 - "The Dukes in Switzerland"
Season 1, Episode 11 - "Am I Blue?" Season 1, Episode 20 - "The Trip: Part 1"
*Season 7, Episode 8 - "Arnold the Entrepreneur"
Season 6, Episode 8 - "Promises, Promises"
Season 11, Episode 20 - "And Up We Go"
Season 4, Episode 5 - "Cinderella"
Season 2, Episode 21 - "Elroy in Wonderland"
Episode 4 - "Reflections in a Ghoulish Eye"
Episode 13 - "Horror-Scope Scoob"
Season 2, Episode 18 - "Camille"
Season 3, Episode 8 - "Reunion"
Season 1, Episode 2 - "The Neighbors"
Season 1, Episode 10 - "The Adoption"
Season 1, Episode 12 - "Ted's New Boss"
Season 1, Episode 13 - "Brainwashed"
Season 1, Episode 18 - "The Robot Nappers"
Season 1, Episode 22 - "Vaudeville Vicki"
Season 2, Episode 6 - "Crazy Like a Fox"
Season 2, Episode 10 - "You Gotta Have Heart"
Season 2, Episode 18 - "Little Miss Shopping Mall"
Season 2, Episode 22 - "The Cat's Meow"
Season 2, Episode 24 - "Double Wedding"
Season 3, Episode 14 - "Here Today, Gone Tomorrow"
Episode 2 - "The Emperor's New Clothes"
Disney Afternoon Episode 14 - "Trading Faces"
Season 7, Episode 3 - "Beauty and the Beast"
Season 1, Episode 6 - "Lotto Fever"
Season 4, Episode 13 - "Bingo"
Season 2, Episode 15 - "Power Erupts"
Disney Afternoon Episode 9 - "Meanwhile, Back at the Ramp"
Season 6, Episode 4 - "Radio Days"
Season 1, Episode 1 - (a) "Flippin' Fido" (b) "Dakota Droopy & the Lost Dutch Boy Mine" (c) "Dog Daze Afternoon"
Season 1, Episode 21 - (a) "Penthouse Mouse" (b) "Twelve Angry Sheep" (c) "The Ant Attack"
Season 2, Episode 4 - "Hog-Wild Hamton"
Season 3, Episode 9 - "Toons from the Crypt"
Season 4, Episode 18 - "The Old Man"
Season 1, Episode 5 - "My Dad Can Fix Anything"
Season 1, Episode 10 - "The Revenge of Dr. Noo"
Season 3, Episode 1 - "Bobby's Tooth or Dare"
Season 3, Episode 11 - "Bobby's Girl"
Season 3, Episode 13 - "I Want My Mommy"
Season 2, Episode 9 "The Pit Stop"
Season 1, Episode 12 - "Death in Plain View"
Season 1, Episode 18 - "Bringing Home Baby"
Season 18, Episode 16 - "Whose San Andreas Fault Is it, Anyway?" Season 1, Episode 3 - "Marie Curie"
Season 1, Episode 13 - (a) "Simon Strikes Back" (b) "The Ickis Box"
Season 7, Episode 20 - "Stand by Your Man"
Season 2, Episode 1 - "Uniting Loved Ones"
Season 1, Episode 7 - "Eddie's Secret"
Season 4, Episode 12 - "Snow Exit"
Season 2, Episode 10 - (a) "
hree Ghosts and a Baby" (b) "I Wanna Be Rude" (c) "Leave It to Casper"
Season 1, Episode 10 - "A Man's Place is in the Homey, or The Stepford Guys"
Season 3, Episode 22 - "Last Call"
Season 5, Episode 24 - "101 Damnations"
Season 5, Episode 25 - "From Here to Maternity"
Season 5, Episode 26 - "Last Exit to Ohio"
Season 11, Episode 23 - "How to Marry a Moron"
Season 1, Episode 7 - "Panic"
Season 3, Episode 4 - "One Flew Over the Cuda's Nest"
Season 2, Episode 9 - "Witch Trash"
Season 1, Episode 3 - "But Some of My Best Friends are Clowns"
Season 10, Episode 12 - "Ashes to Ashes"
Season 1, Episode 5 - "Suburban Myth"
Season 7, Episode 14 - "Uncle Phil Goes Back to High School"
Season 3, Episode 19 - "Caroline and the Visit from Mom"
Season 4, Episode 16 - "Caroline and the Ancestral Home"
Season 4, Episode 22 - "Caroline and the Big Move"
Season 4, Episode 8 - (a) "Snail Boy" (b) "The Penalty Wheel"
Season 5, Episode 2 - "Trade Off"
Season 1, Episode 6 - "Shy Kidney"
Season 1, Episode 21 - "Eenie Meenie"
Season 2, Episode 3 - "Jesse Magoo"
Season 2, Episode 4 - "Your Body is Changing"
Season 2, Episode 25 - "No Refunds, No Exchanges"
Season 2, Episode 28 - "From Whom the Bells Toll"
Season 2, Episode 17 - (a) "A Dog Ate My Homework" (b) "The End"
Season 2, Episode 20 - "Zeta"
Season 6, Episode 5 - "Manhunt"
Season 3, Episode 11 - "Saved by the Bell"
Season 3, Episode 3 - "Book Club"
Season 2, Episode 16 - (a) "Who Moved My Bone? (b) "Clifford the Pirate King"
Season 1, Episode - "The Bridesmaid"
Season 1, Episode 8 - "Q&A"
Season 1, Episode 2 - "Charlie's Angels"
Season 1, Episode 4 - "The Legend of the Dragon Tooth"
Season 1, Episode 14 - "Eye of the Beholder"
Season 1, Episode 16 - "Hong Kong Knights"
Season 1, Episode 21 - "The Hunted"
Season 1, Episode 8 - "What Will People Say"
Season 3, Episode 13 - "The Tribes That Bind"
Season 4, Episode 2 - "Life is Too Beautiful"
Season 5, Episode 8 - "Gossip"
*Season 9, Episode 13 - "The Fine Art of Parenting"
Season 11, Episode 9 - "Thanks and Giving"
Season 2, Episode 9 - "We Are Family"
Season 1, Episode 5 - "Pool Party"
Season 2, Episode 25 - "Hannah in the Streets with Diamonds"
Season 3, Episode 7 - (a) "George Digs Worms" (b) "Everything Old Is New Again"
Season 1, Episode 6 - "Dirty Lansbury"
Season 1, Episode 15 - "Brady Battles Boo-Mer"
Season 1, Episode 13 - "Untamed Woman"
Season 1, Episode 4 - "Mayor Is Missing"
Season 5, Episode 24 - "The Last of the Red Hat Lovers"
Season 8, Episode 11 - "Who Can Say What's True?" Season 1, Episode 12 - (a) "Blame it on the Rain" (b) "Busted Boomer"
Season 1, Episode 2 - "Fish Sleepover Party"
Season 1, Episode 7 - "Bea Becomes an Adult Fish"
Season 1, Episode 38 - "Fish School Musical"
Season 1, Episode 40 - "Halloween Haul"
Season 2, Episode 10 - "Spoiler Alert"
Season 2, Episode 17 - "Bea Sneaks Out"
Season 2, Episode 20 - "Milo and Oscar Move In"
Season 2, Episode 26 - "Unfinished Doll Business"
Season 11, Episode 3 - "The Unblessed Biscuit"
Season 5, Episode 15 - "King Baby"
Season 14, Episode 18 - "Uninvited"
Season 1, Episode 7 - "Roy & Ben's Day Off"
Season 1, Episode 19 - "The Tourist"
The Mad Nightmare (Story Arc 7) Episode 1: "Clyde Five"
Season 6, Episodes 1 & 2 - "Terror Tales of the Park IV"
Season 12, Episode 9 - "Grounded"
Season 5, Episode 16 - "Cocktails and Calamine"
Season 1, Episode 12 - "Ghost Lookers: The Haunting of Bueller House"
Mini-Series, Episode 2 - "Strongarm's Big Score". 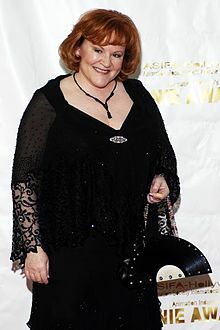 اینگیلیسجه ویکی‌پدیاسی‌نین ایشلدنلری طرفیندن یارانمیش«Edie McClurg»، مقاله‌سیندن گؤتورولوبدور. ( ۲۱ دسامبر ۲۰۱۷ تاریخینده یوْخلانیلیبدیر). قارداش پروژه‌لرده ادی مک‌کلرق گؤره داها آرتیق بیلگی‌لر تاپابیلرسینیز.